Help NYS Park Police Officer Tatiana Pena! 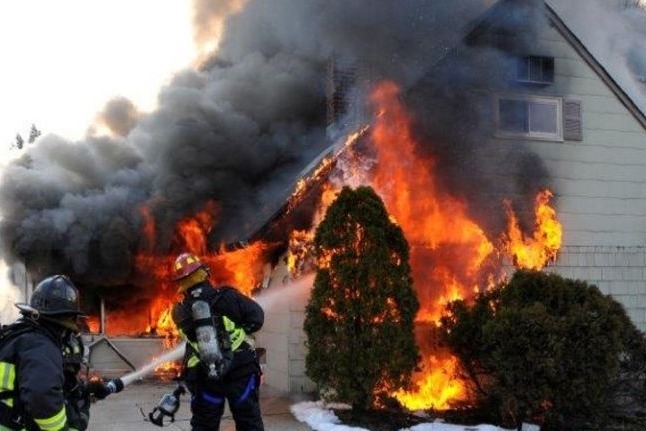 At 7:30 AM on March 9th, 2019, a devastating fire rapidly spread through the occupied home of New York State Park Police Officer Tatiana Pena in Hicksville, NY. Officer Pena (graduate of the 15th Session of the New York State Park Police Academy in 2018) had just started her tour of duty that morning in the NYC Zone at Riverbank State Park when she was notified of the fire. Inside the home, her 20-year old sister, and 55-year old father, Edwin Martinez, a retired NY State Trooper, had narrowly escaped the fire with their lives. Officer Pena's sister was treated and released for smoke inhalation at Nassau University Medical Center while her father was admitted to NUMC's burn unit after suffering significant burns. Unfortunately, Officer Pena's dog perished in the fast-moving blaze. It took more than 100 firefighters from Hicksville, Bethpage, Plainview and East Meadow to bring the fire under control. By the time the blaze was extinguished, Officer Pena's house was a total loss. The New York State Park Police is a small police agency numbering only about 275 across New York State. What we lack in numbers, we make up for with our comradely. We are family, and family is never left alone in a time of need. We are rallying to Officer Pena's side at this time of loss for her and her family, but we cannot do it alone. Officer Pena and her family need all the help any generous PBA, charitable organization, law enforcement officer, or caring person can give. No amount is too small to help support Officer Pena and her family rebuild and reclaim their lives. Absolutely 100% of all generous donations will go directly to Officer Pena's family. We, the members of the New York State Park Police, thank you for taking the time to read about Officer Pena's story and consider a donation to her family. The Long Island State Park Police Benevolent Association is comprised of law enforcement officers employed by the State of New York. It was founded in October of 1967 as the Long Island State Parkway Police Patrolmen's Benevolent Association. The current name was officially adopted in November of 1979. This not-for-profit association is funded by membership dues and contributions from the public. The PBA supports local community organizations through contributions and services and advocates changes that improve the health and safety of those employed in law enforcement. Copyright © 2014 LI State Park PBA. All Rights Reserved.